Our physicians and nurse practitioners work together with parents and other health care professionals to nurture our children in a happy and safe environment, using state of-the-art medicine to provide advanced care along with advanced caring. After receiving his medical degree from the University of Santo Tomas (Philippines), Dr. Gerardo completed his residency training at the Mount Sinai Medical Center in Cleveland, where he also served as Chief Resident in Pediatrics. Board Certified in Pediatrics, he is an Assistant Clinical Professor of Pediatrics at the Case Western Reserve School of Medicine. Dr. Gerardo founded Kids in the Sun in 1990 in Brecksville. As an international medical graduate, his special interests include helping transition the families of foreign adoptees, as well as working with the families of children with ADHD. Dr. Golonka is a native of Cleveland. He graduated from Ohio State University College of Medicine and completed his residency training at Rainbow Babies & Children’s Hospital, where he also served as Chief Resident. He worked for 3 years after that as the Attending Physician for the inpatient floor at Rainbow for children with special needs. He is an Assistant Clinical Professor of Pediatrics at Case Western Reserve University, and is Board Certified in Pediatrics. His special interests include general pediatrics, feeding problems, sleep issues and special needs. Dr. Golonka enjoys swimming, biking, boating, and spending time with his wife and three children. Dr. Elizabeth Hagen received her medical degree from the Medical College of Wisconsin. She then completed her pediatric residency at Rainbow Babies & Children’s Hospital, where she was selected to spend an additional year as Chief Resident. She is a Board Certified Pediatrician and a Clinical Instructor at Case Western Reserve University School of Medicine. She has a special interest in adolescent medicine and preventative care. Dr. Levy Mandalla is a graduate of Case Western Reserve University School of Medicine. She completed her pediatric residency training at Baystate Medical Center, Tufts University of Massachusetts. In 1995 she moved back to Cleveland and has been with Kids in the Sun since. She is Board Certified in Pediatrics. Her areas of special interest are allergies and asthma. 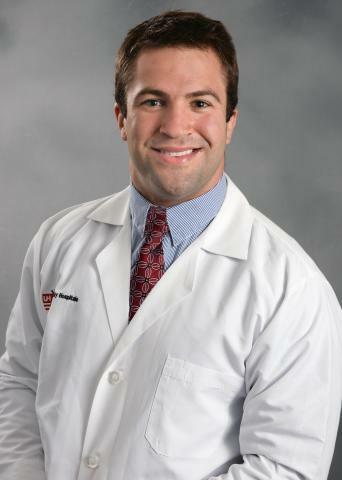 Dr. Postma grew up in Stow, OH and graduated from the University of Cincinnati College of Medicine and completed his Pediatric Residency at Cincinnati Children’s Hospital Medical Center. His areas of special interest are newborn care and general pediatrics. He is Board Certified and a Clinical Instructor at Case Western Reserve University School of Medicine. In his free time, he loves to be outdoors with his wife and two daughters and enjoys skiing, hiking, and biking. Lynn is a Pediatric Nurse Practitioner with an undergraduate degree from Case Western Reserve University and a Master’s degree from the University of Akron. She brings experience from Rainbow Babies and Children’s Pediatric Intensive Care Unit and Pediatric Sedation Unit to the practice. Her interests include adolescent preventative care as well as breast feeding issues. She resides in Avon with her husband and three daughters Jenna, Abby, and Josie. She enjoys enjoys coaching and playing volleyball and loves to cook and bake with her three girls. Lisa is a certified Pediatric Nurse Practitioner who received her BSN and MSN degrees in Nursing from The University of Akron, with extensive clinical experience in pediatric primary care. She has lectured on Pediatrics and Obstetrics at Lorain County Community College in the Department of Nursing, and has also worked in Labor & Delivery, Newborn Nursery, and Postpartum Care. Her areas of interest include the care of newborns, infants, and adolescents. Certified as a Family Nurse Practitioner, Dr. Tezie earned her Clinical Doctorate in Nursing from Case Western Reserve University and is a graduate of Heidelberg College in Tiffin, Ohio. Prior to becoming a Nurse Practitioner, Dr. Tezie worked in the field of developmental disabilities. She earned special education teaching certificates from Cleveland State University. Ryan grew up in Macedonia, Ohio, and earned both his undergraduate and graduate degrees from The Ohio State University. He is board certified as a Pediatric Nurse Practitioner with additional education in child and adolescent mental health. An area of personal interest is working with athletes, having been a collegiate football letterman and presently helping develop first-, and second-year wrestlers on his father’s youth team. Catherine is a Certified Pediatric Nurse Practitioner who grew up in Wooster, Ohio. She attended The College of Wooster and received an Undergraduate degree in Biochemistry and Molecular Biology and moved on to attend nursing school at The University of Cincinnati. She worked in the Pediatric Intensive Care Unit at Cincinnati Children’s Hospital for 3 years and then at Vanderbilt Children’s Hospital for 3 years, during which time she attended Vanderbilt University and received her Master of Science in Nursing. Thereafter, she moved to Southern Indiana and worked at a pediatric practice for 6 years before moving back to Ohio to be closer to family. Cathy and her husband have experience as foster parents for the last 4 years and have also adopted out of foster care. She enjoys spending time with her family.